House Democrats are questioning the legality of a Department of the Interior (DOI) decision to call back thousands of furloughed employees to work on offshore drilling permits. “This is an outrageous step, and the justifications provided in the BOEM contingency plan … are farcical and make it clear that the administration cares only about the impacts on its favorite industry and not about workers, their families, and ordinary families,” the letter said. Democratic Reps. Raúl Grijalva of Arizona, Betty McCollum of Minnesota, and Alan Lowenthal of California joined Grijalva in signing the letter. Grijalva chairs the House Committee on Natural Resources, which oversees the DOI. BOEM changed its shutdown plan Jan. 8 to bring back employees to work on seismic permits and offshore lease sales because leaving the agency understaffed threatened to “negatively impact the Treasury and negatively impact investment in the U.S. Offshore Gulf of Mexico,” BOEM said according to the letter. The Democrats demanded BOEM reverse course. If not, Bernhardt would likely be called in front of the House Natural Resources Committee, to defend the legality of BOEM’s actions, which “appear to be in violation of the Antideficiency Act,” according to the letter. 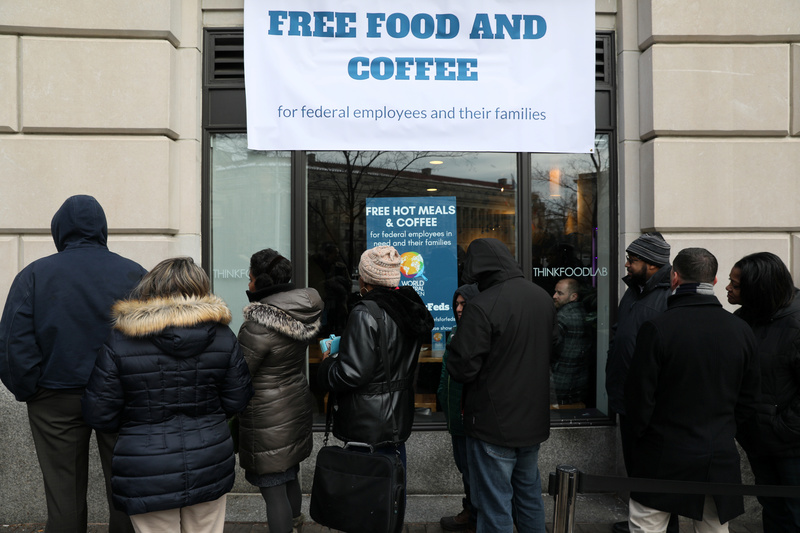 Thousands of other federal workers were called back to work Tuesday as agencies expand their definitions of “essential” personnel. Aviation, food, drug and medical inspectors were some of the 50,000 federal employees called off of furlough and back to their positions. If the government shutdown stretches to Jan. 28, about 46,000 Internal Revenue Service (IRS) employees return to their jobs for tax-filing season.